The Boy and I just sat down to a new project, we're going build a quadcopter, because they're awesome. We thought: let's give ourselves a break, not bite off more than we can chew. Nothing so easy as out-of-the-box stuff, something a little DIY, but we'll steer clear of anything with soldering your own boards or trying to source our own pieces. So we get a kit, choosing among RTF (Ready to FLY), BNF( Bind aNd Fly, essentially just pairing with a controller is needed) and ARF (Almost Ready to Fly). We choose an ARF setup that has all the pieces you need to get going. The kit says very clearly on the site that it doesn't have EVERYTHING, you need to buy a remote, and a couple other pieces of additional gear for things like First Person Video. Excellent, we get the essentials. The Box shows up a couple weeks later and it's everything the website said, lots of shiny pieces and wires and . . . no instructions. Hmm, I guess it didn't SAY it had instructions, but I kind of assumed . . . The interwebs, will of course help, right? Yes and no. As with many things, it's amazing how much help there is out there that assumes you already know what the hell you are doing. We quickly discovered we did not. For instance, yes, the ARF has a battery. Buuuuuut, no charger. "What?" says the interwebs, "you don't ALREADY have your own OEM Balance Charger for LiPo, 1s-6s Li-ion,1~15cell NiMH Akku 50W Balancer?" Ummm, no? The OEM Balance Charger for LiPo, 1s-6s Li-ion,1~15cell NiMH Akku 50W Balancer itself has no instructions . . . and also assumes that you already have a 12v DC output AC power adapter. At this point I'm realizing I might have entered into some kind of fractal DIY experience. It continues . . . apparently the number of things I don't know about building remote controlled electronics would make your head spin. For instance, plugging the battery into the flight controller where the board is labeled "battery" with a matching coupling will not make the on-board display light up, rather it will make it smoke. I suspected that the board was defective from the get-go with a couple diagnostics I did . . . but the sizzling sure didn't help. Why is this Karma? Folks who have opened up the perhaps minimally documented Dynamo Studio or Dynamo For Revit tools I'm responsible for will have already been giggling at my pain. It doesn't take too much torturing of the metaphor to see both tools and copter as shiny boxes of wires. It's all there, the potential for awesome just spread out before you. But where to start? To be fair, Dynamo has a Primer, 10 hours of learning materials, and sample content, but it does leaves me wondering . . . what is Dynamo? RTF, BNF, ARF, or a store with all the parts you need? Feature based intuitive tool or programming IDE? 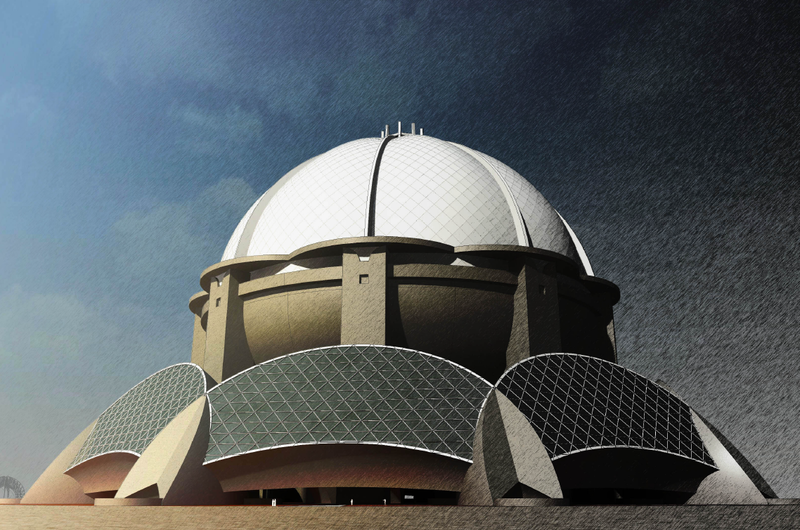 Passing Rhino data to Revit can be a challenge. I hear lots of stories from folks who have started a project in Rhino and need to migrate the design into a Revit for a more developed building description, and find a number of problems including, but not limited to: clunky giant SAT imports, cumbersome model rebuild, difficulty with late changes, etc. There is a four part series that the most excellent Joe Kendsersky wrote here a few years ago that has been pretty effective for engaging in that process. Today I want to show a more evolved way of passing information from the .3dm file format to .rvt using a great Dynamo package called Rhynamo, developed by Nate Miller and the folks at Case. There are simple ways of looking at random numbers, and then there are awesome ways at looking at random numbers. 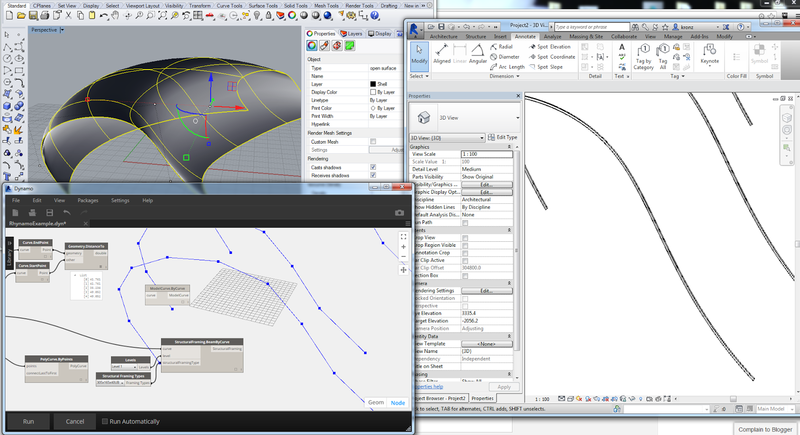 We shall explore both (and write them to family parameters in Revit). 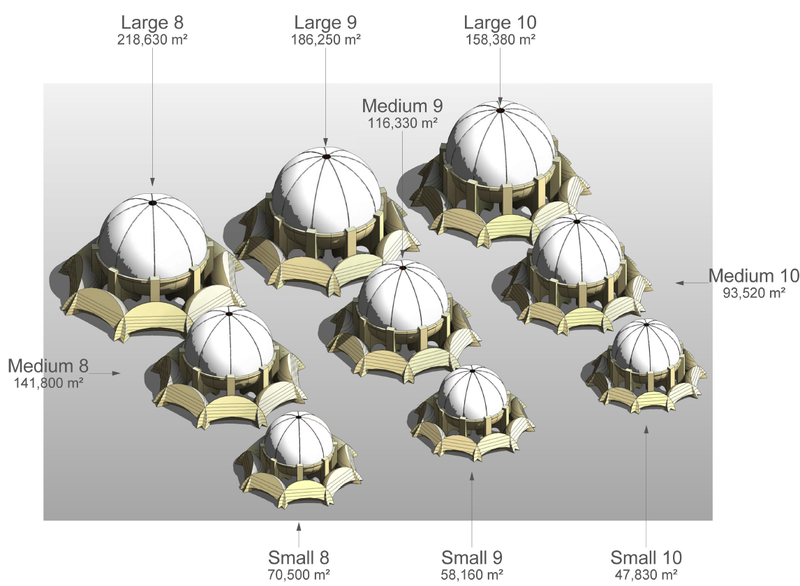 Revit Massing studies + Dynamo = Love. There is an interesting quirk in extracting data from Revit Mass Floors with Dynamo (probably any Revit API tool). Levels that are assigned to masses that don't hit the floor come up as blank data (not zero, not null), so there is a little cleaning up you need to do. 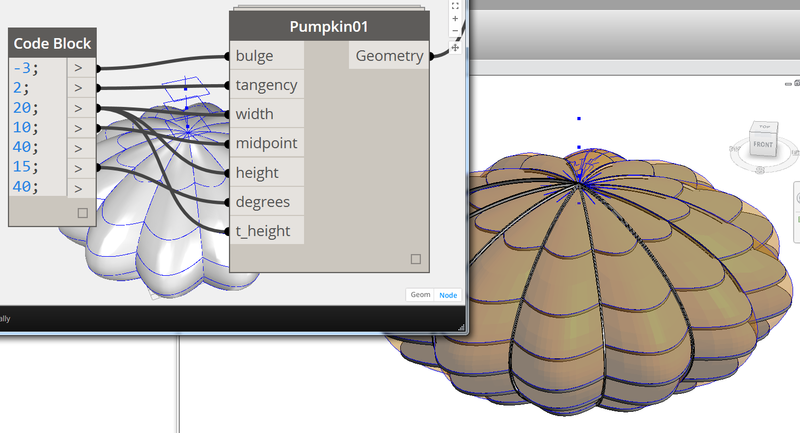 It’s time to announce the winners for the 6th Annual Parametric Pumpkin Carving Contest. 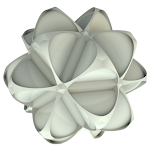 Usually, we have the Baddest, the Goodest, and the Mostest Parametric. There may be a need to make some adjustments this year . . . I think Andy Milburn broke the system. Imagine that instead of a Parametric Pumpkin Carving we were having a Biggest Pumpkin competition, and we had a nice little scale to weigh each pumpkin. Imagine someone showed up with a 5000 lbs pumpkin and dropped it on the scale . . . all the spring go shooting out in all directions as the device crumbles to dust. “Bad” in this case is regarded as high praise for an uncanny scariness, a serious and terrifying aspect. This year's winner for Baddest comes in with Neil86's punk rock classic. It ain't slick, it ain't pretty, but it sure looks mean and I wouldn't want it in my room after the lights went out. Like the Ramones or Dead Boys, this nasty little beast is the equivalent of 3 chord manifestos like Sonic Reducer. 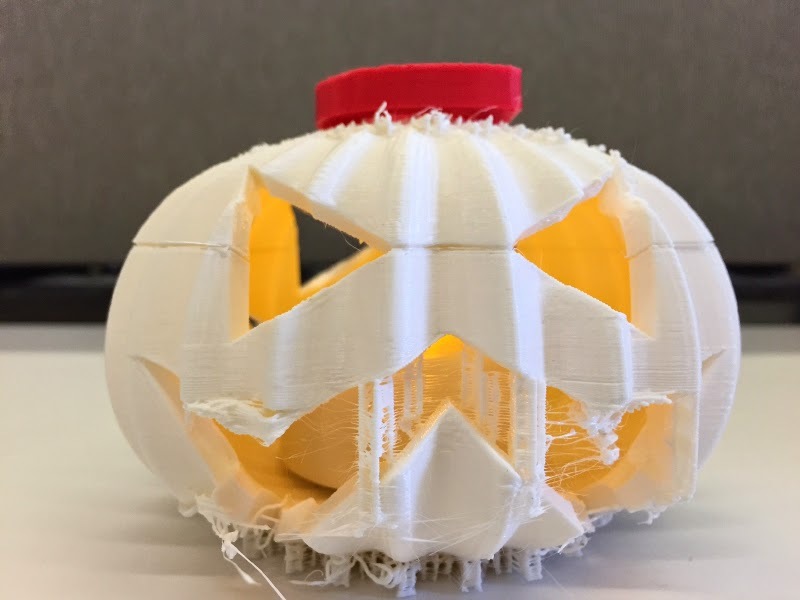 The 3d print pushes the medium into elegantly broken and drippy spasms that at once seem on the point of collapse, while expertly evoking pumpkin slime. Well done Neil86. Please don't hurt me. 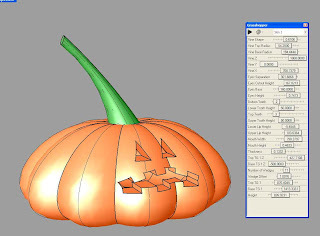 The pumpkin that gets to the wholesome essence of both Jack O' Lanterns and the design platform on which it was built. Free of workarounds and hacks, this winner is a model of both creativity and good citizenship. 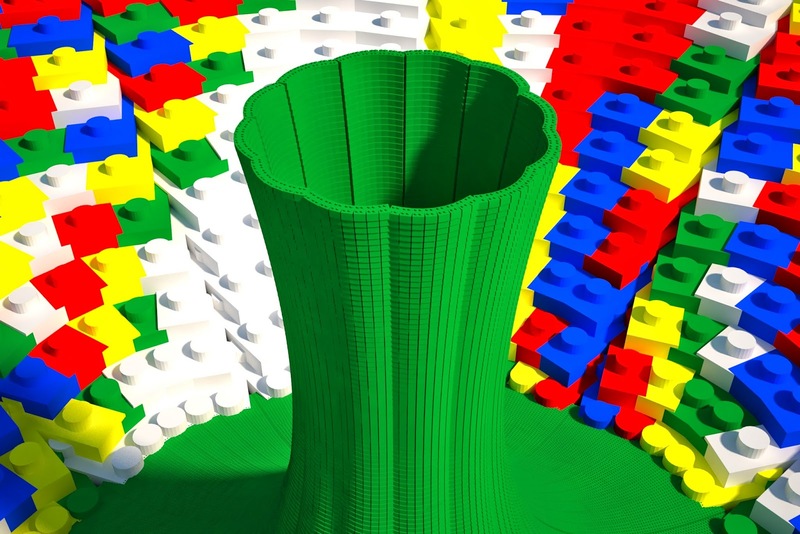 Scott must have fried his poor hard drive, with this magnificent collection of 22752 Lego block Revit Families. Wait . . . whut? "The concept was rather simple, create a Lego family that can be applied to Mass forms to give the effect that it is made out of Lego. From this simple concept began a very long journey of experimentation and refinement. The surfaces were divided up and nodes activated, the U and V grids were adjusted to allow the blocks to stack nicely for the heights, and an ok length for the grids set. Then I started placing the Lego into the individual segments. Each segment took Revit about 15 minutes to repeat the component pattern, a bit of a side effect from having such a detailed Lego family. To add a little bit of a bonus I created the stalk of the pumpkin using my actual real life Lego blocks, 9.6mm high!!! 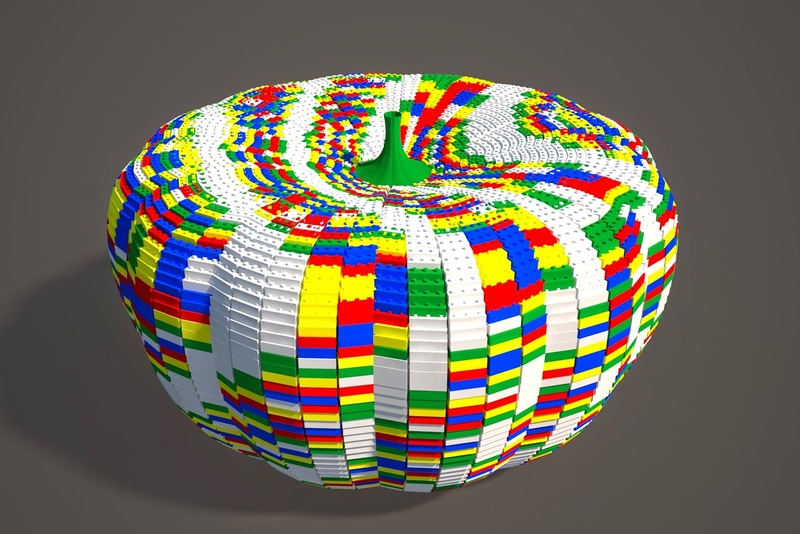 In total there are a total of 22752 Lego blocks in the pumpkin (4212 Big blocks and 18540 Actual size), probably a good reason why it took hours to transform it into Lego. The mass family file size is now over 100Mb!!!" We would offer the file for download . . . but it's 100mb! 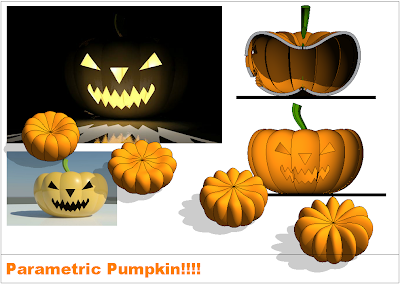 The pumpkin that is shaped by rules and variables, that is definite yet infinitely flexible. It not only defines a particular look and feel, but conveys the possibility of endless variation. It's difficult for me to talk about Andy's latest work. If you've seen the movie Groundhogs Day, think of the final speech made by Bill Murray, where he takes the occasion of a throw-away event (the announcement of Punxsutawney Phil's prediction of how many more days of Winter there will be), and uses it as the poetic vehicle to encapsulate the depth of experience of an immortal life. This is Andy's pumpkin. If you have not seen Groundhogs Day, just know that Andy Milburn's work is moving and absurd and virtuoso and inspirational and goofy. For those that already know him, you have probably been following his activities on his blog Grevity, where he has been building and exploring desert ecosystems, human settlement patterns, trends in the evolution in world art, proportion, monumentality . . . and more. Then a couple days ago I look in the mail and I see Andy's full submission . . . a thesis really. A 90+ page competition entry on "The Desert Pumpkin. The ongoing effort to improve the way that information is used in the construction industry. Digital tools to enable effective decision making". Beginning with precedent studies of the monumental architectural proposals of Ledou, and Boulee, Andy searches for connections between the intimacy of ancient domesticity that emerged out of the Fertile Crescent and the overwhelming vastness of the desert landscape. Along the way he finds a formal language to connect the small and tangible with the limitless. 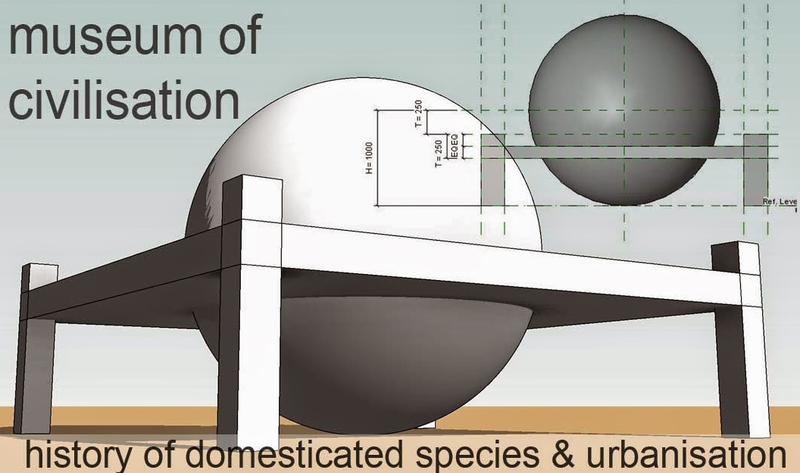 So what does all this have to do with parametric design and BIM? "BIM is habitually referred to as a technology, a documentation tool, a means for increasing productivity and revenue flow. What then of art ? 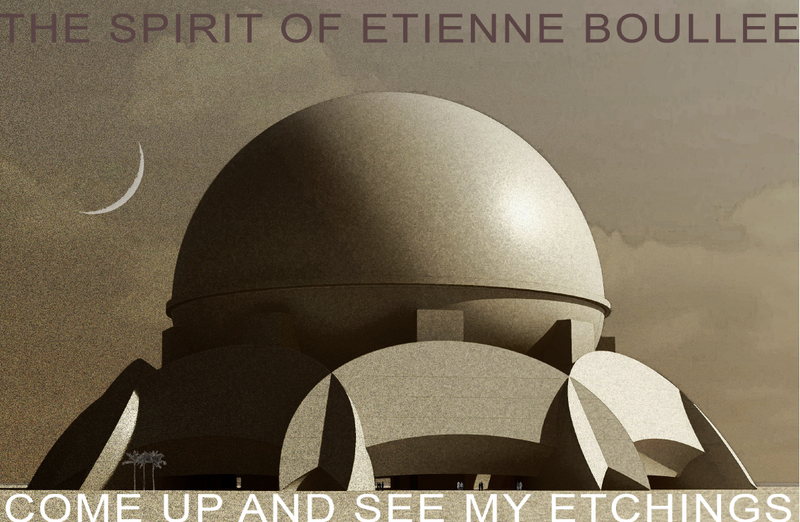 Why do I insist on probing the intersection between BIM and the artist inside each of us ? In the late nineteenth century as the classic phase of the industrial revolution reached its peak, the world of fine art was thrown into turmoil. Photography had undermined many of the artist’s traditional areas of expertise and authority. The impressionists looked beyond photo-realism to explore fleeting effects of light and mood. Some sought to capture emotions directly, others to simplify and abstract in search of pure form. Cubism was a short-live movement based on the concept of capturing multiple viewpoints in a single image. We do not experience the world from a static position. Our memories are not discreet entities, but blurred and subtle composites. Art is many things: a search for truth; an exploration of beauty, horror, simplicity, ennui; an expression of status; a challenge to authority. Architecture is more than just a business. Our lives are more than a series of workflows. We crave meaning and purpose. Enter the artist within our soul. It is not yet clear what “BIM art” would be. Photography was not considered art when first developed. It took time to learn how this new medium could be used to explore meaning, to balance form and content as all art forms must. As an engraver I could be a technician, just doing my job, efficient but sterile. Or I could seek to combine skill and meaning into a seamless whole. I could use my mastery of technique to express ideas, try to capture the essence of engraving and convey emotions. An artist like Escher was able to weld form and content in the most magnificent manner. The inscription on a Ledoux drawing reads “Le Doux, Architecte du Roi” and “Grave par Van Maelle” Here we have a partnership between Architect and Engraver. The combination of technique and vision may not be as seamless as an Escher, but it is evocative none the less. In some ways the mechanical methods of the professional print-maker are better suited to the utopian messages purveyed by Boullee and Ledoux." Thanks to everyone who submitted entries. As always, we at Buildz are humbled by the efforts of our readers. 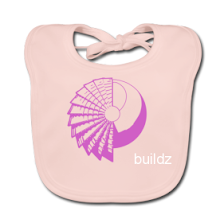 All our finalists will receive a choice piece of Buildz schwag, and our heartfelt thanks for participating. 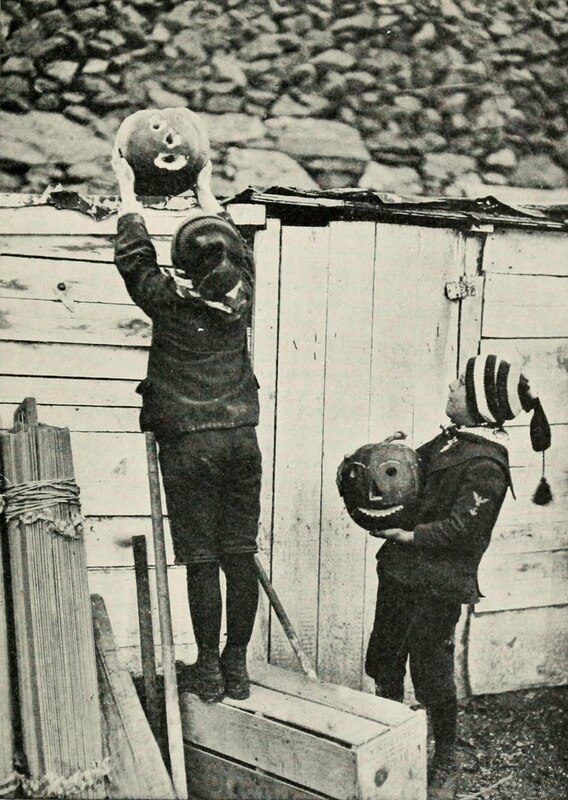 Pumpkin deadline is looming, Oct 28 is nigh! We've had a pretty good track record over the 1/2 decade of pumpkins . . . the form never fails to yield up new variations on the theme. 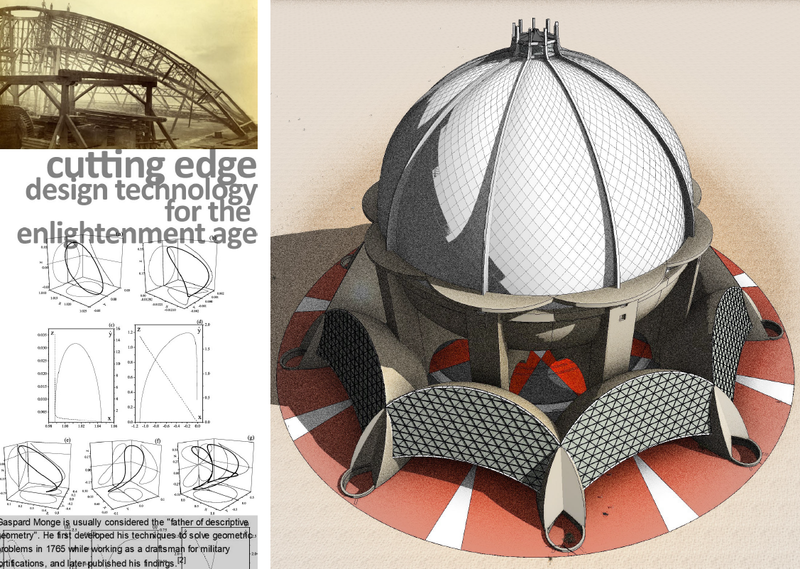 Getting a little nostagic and looking back at Year One, with finalists using Revit, Rhino/Grasshopper, and Inventor, submitted by the Greats: David Light, William Lopez Campo, and Rob Cohee. Interesting that, while at the time only Rob was working for Autodesk, now William and David are too . . . Check out the whole catalog, look for MEP, video games, early Dynamo prototypes, and other inventive oddities. 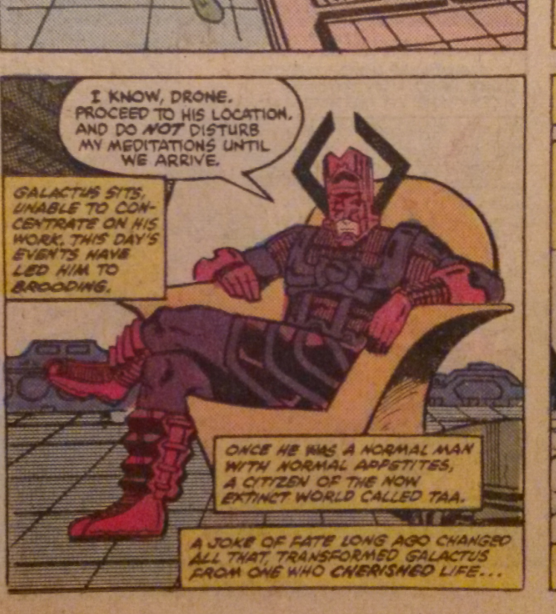 Loungin' like a boss in his fine post modern laz-e-boy. A lesson to all you would be world dominators to occasionally kick back and take it easy. 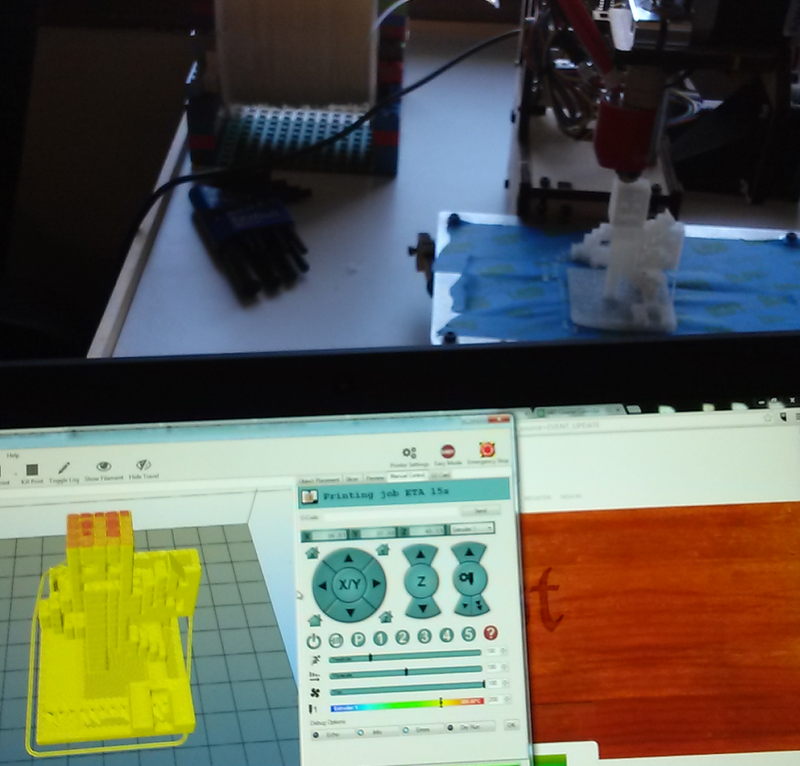 11 year old Green-Octopus-Spider-man's Minecraft stuff made real via jMc2Obj to Meshmixer to Repetier to Printrbot. 15 days to Pumpkin! 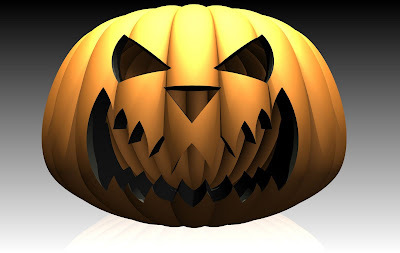 What better way to celebrate Invasion Day than with digital pumpkin carving?